News via Geeking with Greg. Team Bellkor’s Pragmatic Chaos has achieved greater than 10% improvement on the Netflix Prize. Lots of good stuff have been coming to my attention lately. Amazon just announced their Amazon Elastic MapReduce program. Sounds like the main point of this service is to simplify setting up a Hadoop cluster in the cloud, and Amazon charges you a little extra above the normal EC2 and S3 costs for this service. Not clear to me yet why people will pay the extra cost instead of running their own instance of Hadoop on EC2. I mean, you can just read Chapter 4 of my book and do this all by yourself easily 😉 I hope to look more into this service over the weekend. At the very least this is a sign that a meaningful number of Amazon Web Services’ customers are using the EC2 cloud to run Hadoop, and so Amazon decides to focus on making it easier. The March issue of the IEEE Data Engineering Bulletin is a special issue on data management on cloud computing platforms. It has papers written by academics as well as from Yahoo and IBM. Haven’t had time to read it yet, but it looks like Hadoop and Amazon EC2 are mentioned a lot. Stephen Wolfram, creator of Mathematica (which I used to use a lot) and author of A New Kind of Science, blogged about his current project, Wolfram|Alpha. The web site won’t fully launch till May, and his blog post is lacking in details, but the project seems to be some combination of search engine, natural language processing, and expert-curated semantic models. Definitely something to watch. Yahoo Developer Network has a new video on how they use Hadoop to analyze and filter spam. This is part 1 of a series, and it’s just background info on the size of their spam problem and how Hadoop is more scalable than their previous DB solution. Hopefully future episodes will have more meat. Posting here has been light for a while. Lately my writing time has gone to a new book on Hadoop. 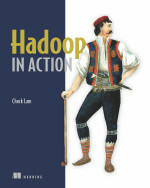 It will be published by Manning with the title Hadoop in Action. Yesterday Manning released it in their early access program. You can check it out and pre-order it at http://www.manning.com/lam/. The first Predictive Analytics World is coming to San Francisco on Feb. 18 and 19. It has a great line-up of accomplished speakers. Usama Fayyad (of Yahoo) and Andreas Weigend (formerly of Amazon and a good friend of mine) are keynote speakers. The Netflix Progress Prize winner “BellKor in BigChaos,” whom achieved a 9.63% increase over Netflix’s baseline system, will speak about their system in a case study. Readers of this blog can get a 15% discount to the conference if you use the registration code: datastrategypaw09. The conference promises to be a good overview of the state of the industry in data analytics. The conference organizers are also having an online survey to examine trends in the data analytic tools and industry. You can take the survey at https://www.surveymonkey.com/s.aspx?sm=8dHx_2bFz7yxw3FPKlbi3OVg_3d_3d. Have a big, open dataset? Make it available on Amazon! I was using the Amazon cloud services and came across this new feature that they haven’t publicized much yet. It’s the AWS Hosted Public Data Sets. They basically host public datasets for free that any AWS EC2 instance can access. Right now they have some datasets provided by The US Census Bureau and the Bureau of Labor Statistics. An exciting one they’ll be adding soon is the annotated human genome. If you have a large dataset in public domain, scroll to the bottom of this page to let Amazon know that you want to contribute. In fact, you can already publish your dataset to Amazon’s EBS storage yourself and just make it public. The downside is that you’ll have to pay for the hosting cost, which is strictly dependent on the size of your data but is generally cheap. You’ll also have to promote the dataset’s availability yourself, as it won’t be listed on the Amazon’s Web site. What I wish to see in the short term is that various government agencies make their data available on Amazon. For example, the USPTO should release all its patent data. These data are already paid for by the tax payers and should be freely available to the public. If you know anyone working in government agencies, tell them to look into this Amazon service. On a more philosophical level, I’m thinking about how Amazon’s business has expanded from selling books to publishing books and now they’re publishing data too. Just found out that some of my favorite Stanford engineering classes have published their videos online for the general public. Readers of this blog may be especially interested in Chris Manning’s class on Natural Language Processing and Andrew Ng’s class on Machine Learning. In addition, having been an EE person myself, I can highly recommend Steve Boyd’s classes on Linear Systems for those who can deal with more advanced math. He teaches Introduction to Linear Dynamical Systems and Convex Optimization I/II. A few more classes are also available. Go to the course listing page here. 6:17 – If we haven’t had to deal with [machine] failures… we would have probably never implemented MapReduce. Because without having to support failures, the rest of the machine code is just not that complicated. 18:14 – (Matt Austern, SW engr) One of the core implementation issues in MapReduce is how you get the intermediate data from the Mappers to the Reducers. Every Mapper writes to every Reducer, and so it ends up making very heavy use of the network… (Interviewer) If you really want to provide a lot of computing, its very easy, one would think, to just buy lots more microprocessor… but the issue is communication between them… (Jerry Zhao, SW engr) Communication is not only the limit. How to coordinate the communication channel itself is also an interesting problem. 20:17 – MapReduce was originally designed as a batch processing system for large quantity of data. But we see our users are using MapReduce for relatively small set of data but have very strict latency requirement. Now, just imagine that kind of natural language processing capability available as a Web service API, and that is OpenCalais. The OpenCalais team will be presenting at various events in September, being in Palo Alto on the 3rd and San Francisco on the 4th. Digg released their “collaborative filtering” system a month ago. Now they’ve blogged about some of the initial results. While it’s an obviously biased point of view, things look really good in general. What I find particularly interesting here is the historical road that “collaborative filtering” has taken. The term “collaborative filtering” was first coined by Xerox PARC more than 15 years ago. Researchers at PARC had a system called Tapestry. It allowed users to “collaborate to help one another perform filtering by recording their reactions to documents they read.” This, in fact, was a precursor to today’s Digg and Delicious. Soon after PARC created Tapestry, automated collaborative filtering (ACF) was invented. The emphasis was to automate everything and make its usage effortless. Votes were implied by purchasing or other behavior, and recommendation was computed in a “people like you have also bought” style. This style of recommendation was so successful at the time that it had completely taken over the term “collaborative filtering” ever since. Now Digg, which one can think of as Tapestry 2.0, is adding ACF back into its style of recommendation and getting extremely positive results. Everything seems to have moved forward, and at the same time it seems to have come full circle.